Thurs 5th Jan 2012 - The Apple Tree, Woodmancote, Nr Cheltenham - We're kicking of the new year with a visit to a brand new venue for us, the well loved Apple Tree in Woodmancote. It's a FolkLaw duo event, but Gaz went down to the Apple Tree to see a band on Boxing day, and his report fresh off the press is that the beer is excellent! See www.appletree-pub-cheltenham.co.uk for more info. 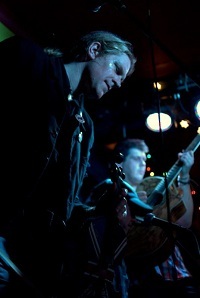 Thurs 12th Jan 2012 - The Prom, Bristol - FolkLaw take to the stage at Bristols best known live music cafe bar. 26 The Promenade, Gloucester Rd, Bristol, BS7 8AL - 0117 942 7319 - Start 9pm. www.theprom.co.uk for more info! Sat 28th Jan 2012 - The New County Hotel, Gloucester - (in association with BWM Promo) - An acoustic laid-back evening at the recently refurbished New County Hotel, 44 Southgate Street Gloucester GL1 2DU. Fri 3rd Feb 2012 - El Rincon, 298 North St, Bedminster, Bristol, BS3 1JU - Welcome to one of the most intimate FolkLaw gigs of the year - as we make our debut at the fantastic art cafe El Rincon. In their own words, ‘El Rincón’ is a little corner of Spain in the heart of BS3 with superb home-cooked Spanish cuisine and hand-picked wine and beer lists, weekly live music and friendly language classes. We're really looking forward to this! Start 7:30pm - finish 9:30. www.elrincon.moonfruit.com for more info! Sat 11th Feb 2012 - Cabaret Night at the Wooton Hall Social Club, Barnwood, Gloucester. FolkLaw are reeling out a short set as part of a 'Cocktails and Cabaret' event at the Wooton Hall club. We'll be appearing alongside other acts to include a Blues duo, a Country outfit, a Function Band, and much more! In a one-off special Nick is also going to don a waistcoat and exercise his elevator music skills on the old Joanna, hailing back to his days playing piano on the French restaurant circuit in the days before FolkLaw was even born! All told it's going to be Jazz, Blues, Folk, Country and Rock-n-Roll. Tickets on sale from the Wooton Hall Club direct. Fri 24th Feb 2012 - The Clothiers Arms, Stroud - (in association with BWM Promo) - According to the great Pete Watkins this place 'loves a bit of the Manics!' so it sounds like we need to introduce the Clothiers to a bit of irish-american folklaw magic without delay ;o) See www.clothiersarms.co.uk for directions. Sat 17th Mar 2012 - St Patricks Day Extravaganza, at the Wooton Hall Social Club, Barnwood, Gloucester. After our spot at the Wooton Hall Cabaret night last month, we're delighted to be going back for a full-on irish-packed guiness-fuelled st patricks night at the club complete with shamrocks, leprechauns and some special Guest artists also making an appearance! Watch this space! Tickets only, available in advance and on the door! Sun 8th Apr 2012 - The Priory Inn - Tetbury - We're delighted to be heading back to one of the finest dining establishments in the South West with a fantastic evening conert in the Priory restaurant, Tetbury. The Priory run a 30 mile food rule for local ingredients, which supports the local economy, saves the environment and fits the FolkLaw ethos down to the ground. We love the hand-made gourmet pizza baked over an open fire, but you can also just relax with a smooth pint of draught ale by the bar and soak up the atmosphere. 8pm-10pm. The Priory Inn , London Road, Tetbury, Gloucestershire, GL8 8JJ . See www.theprioryinn.co.uk for more info! Sat 14th Apr 2012 - Monmouth Festival Fundraiser - The 3 Horseshoes, Monmouth - We're happy to be heading back to the spot where we made our first festival debut as the FolkLaw 3 piece line up nearly 2 years ago! Should be a cracking night in the upstairs room at the horseshoes! Sat 21st Apr 2012 - Banbury Folk Club Song and Ale Weekend - Rumour has it that we may well be making a surprise 100% acoustic appearance at the acclaimed Banbury song and ale weekend which is one the fund-raising events for the Banbury Folk Festival. Book your tickets and spend the weekend camping with excellent facilities, sing-arounds, special guests, workshops and more. It will be a fantastic weekend and we're proud to be contributing in our very small way to part of it! See www.banburyfolkfestival.co.uk for more info and ticket details - click on the link for the Song and Ale weekend and we'll see you there! Thurs 3rd May 2012 - Rose Of Denmark, Hotwells, Bristol FolkLaw 3-piece lineup come to one of Bristols new up-n-coming music venues in the heart of Hotwells. See www.theroseofdenmark.com for directions and details! Mon 7th May 2012 - Bank Holiday Real Ale Day - The Priory Inn - Tetbury - A free-entry outdoor mini-festival gig at the fantastic priory inn where we're lining up alongside some other great acoustic local artists. The food, real ales and cider were stunning at this event last year and we had a great time soaking up the sun in our first outdoor festival of the year! The Priory Inn , London Road, Tetbury, Gloucestershire, GL8 8JJ . See www.theprioryinn.co.uk for more info! Thurs 10th May 2012 - Lymm Folk Club - One of the highlights of the 2012 FolkLaw gig calander sees us travel up to Lymm, the place where the FolkLaw song 'The Days that the Rains Came Down' was highly commended by the song competition judges at Lymm Folk Festival last year. Sat 12th May 2012 - Bloxham May Festival 2012 - We're delighted to be returning to one of the festivals which helped launch FolkLaw way back in 2010! BloxFest is a fantastic family friendly free festival in the heart of Bloxham with bands on multiple stages all day! We're privelidged to be headlining the Joiners stage at 10 pm! See www.bloxfest.org.uk for more info. Sun 13th May 2012 - Cinderford Music Festival 2012 - We're on the main stage at 5:45 for the one and only Cinderford festival in the heart of the Forest of Dean. We're really looking forward to this one! Following our debut outing with Marty Fitsgibbon at the Banbury Folk and Ale weekend last month Marty enjoyed himself so much that he'll be joining us on percussion for this whole weekend - kicking off with blox fest and finishing with Cinderford, so should be top notch! Sat 2nd June 2012 - Wessex Folk Festival 2012 - Following our runner-up entry in the Wessex Folk Festival song competition last year with Green Valleys, we've been invited back as guests at the 2012 festival! We'll be on the showcase stage on the harbourside in Weymouth and it promises to be a fantastic event. The weathers looking good and the stage looks straight out over the harbour so we're really looking forward to this one. We're on stage just after midday!. See www.wessexfolk.co.uk for info. Sun 3rd June 2012 - Stroud on the Water Festival 2012 - We're headlining the Sunday night midway through this bank-holiday weekend cracking festival. We're on stage from 8pm, but there's plenty of bands on all day including the magical duo "My name is Earl". As some of you know Lyndon Webb from the "My name is Earl" duo is producing the FolkLaw album and rumour has it that he may even join us as a special guest on mandolin for this Stroud gig. Great stuff! See www.stroudonwater.org.uk for more info. Mon 4th June 2012 - Blakeney Jubilee Bash! - Come on down to the grounds of the Kings Head in Blakeney in the Forest of Dean for a fabulous bank holiday afternoon free festival of beer and jubilee celebrations. We're on stage at 2:30pm but you can rest assured that the partying is going on into the night! Thurs 7th June 2012 - The Apple Tree, Woodmancote, Nr Cheltenham - For those of you who were there for the last Apple Tree gig, you'll know this is a great place with welcoming audience and a really warm reception. Fantastic! See www.appletree-pub-cheltenham.co.uk for more info. Sun 10th June 2012 - Whychwood Festival Cheltenham (Guild Hall SoundLab) - We're really pleased to be helping out the Gloucester Guild Hall SoundLab again this year and donating our instruments to the public at the reknowned Whychwood Festival! Come along and say hello, bring your instruments down and take to the stage yourself to sing your songs and strutt your stuff - or even have a go on the FolkLaw fiddle! The SoundLab open stage is open to all ages and abilities and you are guaranteed a warm and friendly welcome, whether your playing, singing or sitting back and relaxing in the audience. The soundlab is running on both the Saturday and Sunday morning (yep, you'll need to get out of your tent nice and early!!) and is currently scheduled to be in the "Family Theatre" marquee in the workshops area of the festival. See www.wychwoodfestival.com/line-up/workshops-sessions-and-events/ for info and come along and join in the fun. Thur 14th June 2012 - Bromsgrove Folk Club - We're very excited to be making our full line-up debut at the fantastic Bromsgrove Folk Club! We came to bromsgrove as the duo for a showcase event last year and are really looking forward to coming back for a rull concert! Ticket details TBC - See www.bromsgrovefolkclub.co.uk for info. Thurs 12th July 2012 - Brackley Music Festival 2012 - an evening gig at this fantastic music festival which played host to folk legends PressGang last year! This is a cracking £7 ticket gig in the Brackley Football CLub and we're on stage at 8pm. See www.brackleymusicfestival.co.uk for ticket details and directions! Sat 14th July 2012 - Brownshill Festival 2012 - We're looking set to play at the 8th annual brownshill music festival which raises funds for the Acorn Trust Children's Hospice. Bands are playing from midday all the way through to the evening and we're on stage just after 9pm. Looking at photos from past years its going to be an absolutely fantastic event. brownshill festival on face book for more info. 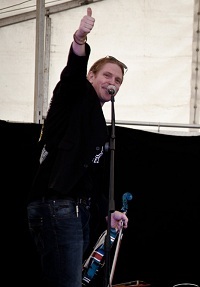 Sun 15th July 2012 - Pershore River Festival 2012 - A rare FolkLaw solo gig! 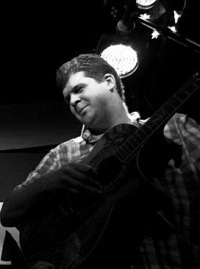 Nick will be on stage in the marquee at the Angel for this years Pershore River Festival on the open stage showcase. Music from 12 midday. Weekend camping, fireworks, river displays, music and more! www.pershoreriverfestival.org.uk for more info. Sat 21st July 2012 - Hook Norton Beer and Music Festival 2012 - Any of you who've been to this in the past will know that it's a cracking open air beer festival in the Rural Fayre Field with literally hundreds of fine ales. We're on stage at 6pm, but bands are runnign from midday through till the late evening, so get there nice and early, soak up the sun and sample the ale! Sun 22nd July 2012 - Lechlade Riverfolk Festival 2012 - music is running from midday into the early evening for this on the second day of Lechlade Riverfolk 2012. Many of you will know this is a fantastic spot by the river and a real-ale paradise with a backdrop of some fantastic folk music. See www.riverfolk.co.uk for details and see you there! Sat 28th July 2012 - HOOF celebration at Speech House in the Forest of Dean! FolkLaw will be last act on stage at the Hands Off Our Forests celebration event which HOOF are running to celebrate the Independent Panel's report and the march at Speech House that started the campaign to keep the nations forests in the hands of the people over 18 months ago. There will be guest speakers, live music and bar, all kicking off at 5pm and running through to the FolkLaw set finishing off the evening at 9pm. See www.handsoffourforest.org for more info. Yes, Leaves of Gold will be played! This promises to be a really exciting event! Thurs 23rd Aug 2012 - Seamus O'Donnels, Bristol - Really looking forward to coming to the most famous Irish bar in Bristol! Let's get the whisky's a'flowing and the guiness a'poured for a smooth FolkLaw evening! See www.seamusodonnellsbristol.co.uk for details. (midday) - Hullabaloo Festival 2012 - we've managed to secure a last minute booking at Cheltenhams brilliant outdoor Hullabaloo festival! Held at Burley Fields Lake, Shurdington, nr Cheltenham, GL51 4XT, it's a cracking event running over 3 days with music, comedy, poetry, workshops, craft stalls and camping! Check out www.hullabaloofestival.co.uk for more details and tickets. We're going to be on stage at 12 midday, so get out the sun cream and sun hats and eat your lunch to the sound of FolkLaw! Top notch! This is the first of two gigs in one day for us, so don't worry if you see us scooting out of the festival car park in a trail of dust after we come off stage! (6:30pm-8pm) - Pershore Plum Festival 2012 - Having warmed up nicely at Hullabaloo we're making our way up to Pershore and are quite excited to be playing on the 'Big Plum' Stage on the banks of the river avon behind the Angel Hotel. There's live music all weekend, great local food and a legendary beer and cider marquee with a wide selection of real ales. Nick played here solo for Pershore River Fest earlier in the year and it's a tranquil relaxing location where you can really unwind, let your hair down and have a great time. This time it'll be the full FolkLaw line up and it's going to be top notch! See www.pershoreplumfestival​.org.uk for details. Sat 15th Sept 2012 - Stroud Quarry Festival 2012 - fantastic family friendly festival sponsored by Stroud FM, with all proceeds going to the Meningitis Trust. In the quarry just off the B4014 Avening to Tetbury Road - and if you ain't sure where it is, then just follow yer nose, cos you can bring your own BBQ food at this one!! Full details TBC. Sat 13th Oct 2012 - The RMA Tavern Gun Room, Portsmouth - Supporting the fabulous folk rockers The Jigantics - More details coming soon! Sat 3rd Nov 2012 - The Pershore Big Bang - Pershore - We're providing the music prior to a massive fireworks display down by the river at the Angel Hotel in Pershore. Any of you who came down to Pershore River Festival or the Big Plum earlier this year will now that this is a fabulous location and the fireworks shimmering over the river will be spectacular. We'll be on stage early prior to the fireworks commencing. Sun 4th Nov 2012 - The Priory Inn - Tetbury - We're delighted to be heading back to one of the finest dining establishments in the South West with a fantastic evening conert in the Priory restaurant, Tetbury. The Priory run a 30 mile food rule for local ingredients, which supports the local economy, saves the environment and fits the FolkLaw ethos down to the ground. We love the hand-made gourmet pizza baked over an open fire, but you can also just relax with a smooth pint of draught ale by the bar and soak up the atmosphere. 8pm-10pm. The Priory Inn , London Road, Tetbury, Gloucestershire, GL8 8JJ . See www.theprioryinn.co.uk for more info! Wed 7th Nov 2012 - The Cafe Rene - Gloucester - Nearly a year to the day since we last played at the Cafe Rene and we're excited to be back for more Celtic antics! Last time it was full of Christmas party-goers and Gaz even ended up with a punters head crashing down onto the rim of his floor tom mid-gig, but this time we reckon the craziest it'll get is a few dazed faces from the fireworks over the bonfire weekend. Don't worry if you haven't changed out of your smokey bonfire clothes or look like the Penny for the Guy, we'll play just the same and whip up a frenzy of Celtic revellery! www.caferene.co.uk for more info! Sat 17th Nov 2012 - Folkridge Festival Benefit Gig - Following the unfortunate cancellation of the FolkRidge festival this year we're delighted to be part of a benefit gig which will hopefully see the festivals survival into 2013. Get your self down to the Whiteway Colony Hall, (Whiteway nr Stroud), for an evening packed full of live acts and a folk-inspired open-mic from 7:30pm before the show kicks off. See www.folkridge.co.uk for more info! It's going to be a good'un! Thurs 22nd Nov 2012 - The Apple Tree, Woodmancote, Nr Cheltenham - For those of you who've been to an Apple Tree gig before, you'll know this is a great place with welcoming audience and a really warm reception and gorgeous beer. Fantastic! Hopefully Bryns mobile phone won't have died this time round and he'll be focused like a laser - we'll see! Check out www.appletree-pub-cheltenham.co.uk for more info.